In an effort to improve ease of use, member applications, and overall awareness, the Colorado Department of Healthcare Policy & Financing contacted VectorDefector to assist in building a brand new web presence for their re-branded Medicaid program: Health First Colorado. 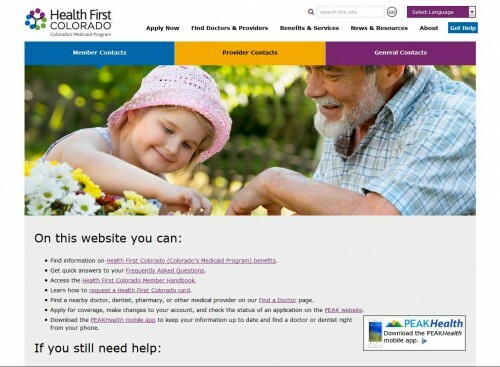 With this site, Colorado’s Medicaid program aims to take a more user-friendly, visually guided approach in order to help users navigate the often difficult process of applying for and researching Medicaid options. This collaboration with Colorado Dept. of HCPF resulted in a bright new website complete with: high-scale healthcare imagery, quicker to browse navigation, mobile responsive design and ADA compliance built within a highly customized WordPress framework for ease of use by the HCPF web department.